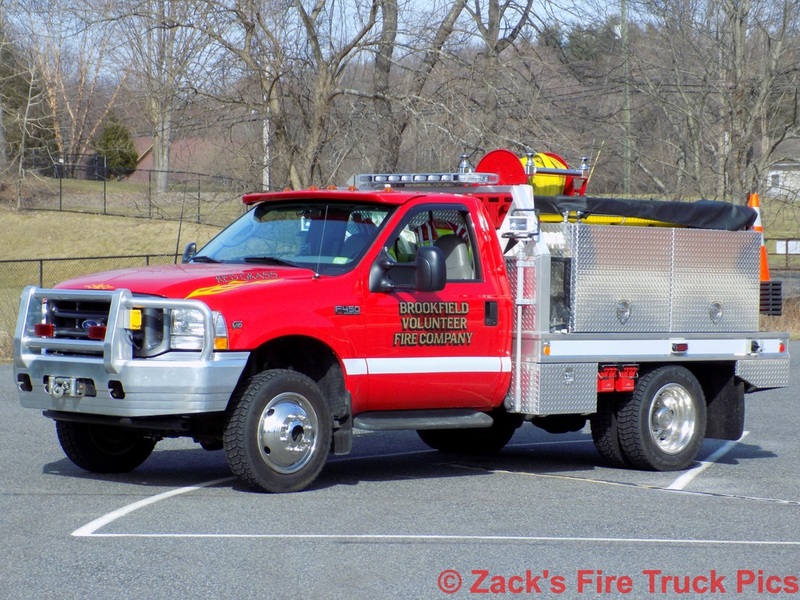 This is the page for the Brookfield VFC. They have 2 engines, 2 tankers, 1 quint, 1 tower ladder, 1 rescue truck, 1 brush truck, 2 utility trucks, and 2 ambulances. 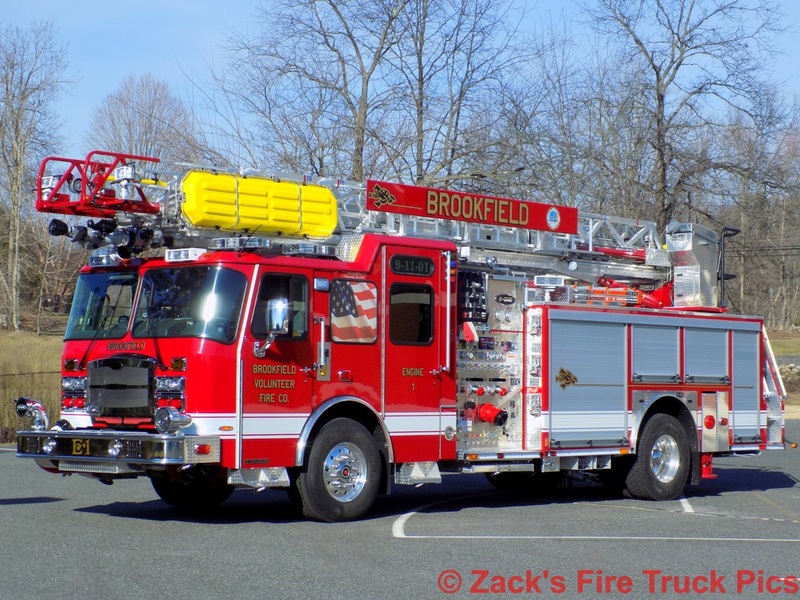 Brookfield's Brush 1, a 2003 Ford/2014 Shipman's. 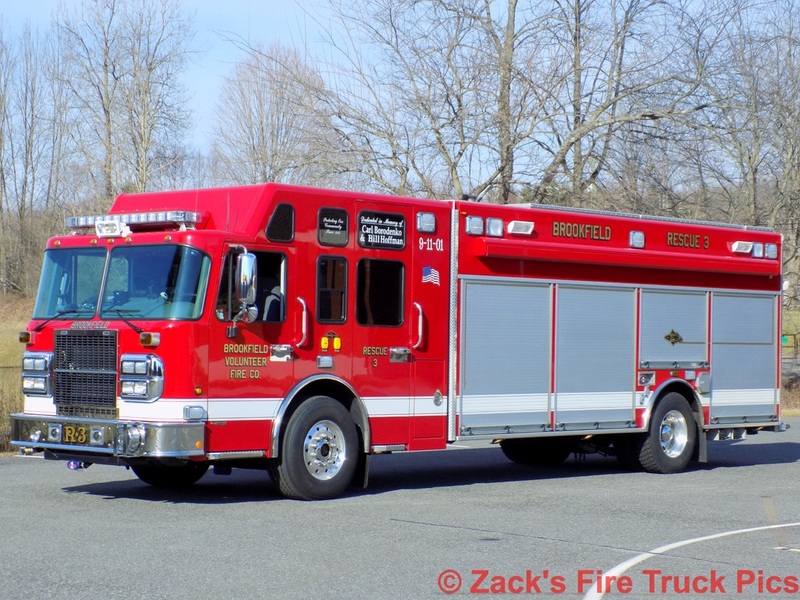 Brookfield's Engine 1, a 2015 E-One Quint. 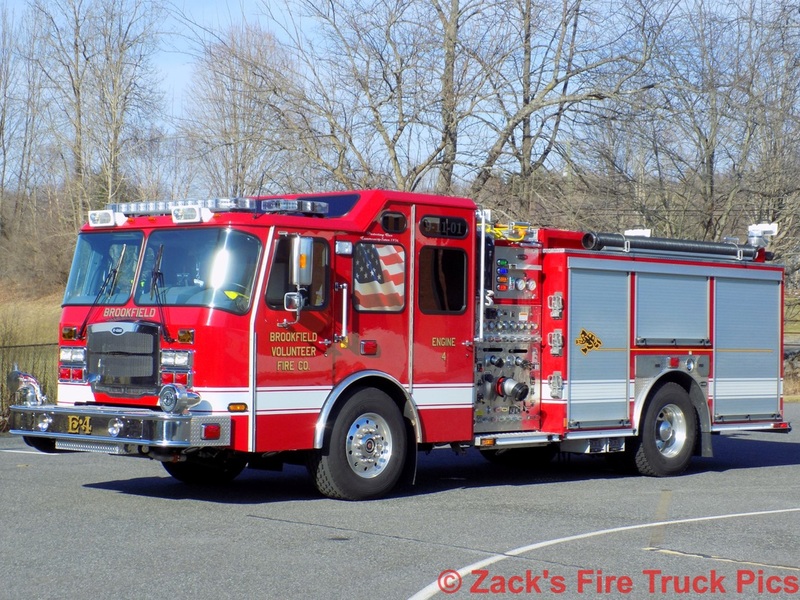 Brookfield's Engine 4, a 2012 E-One. 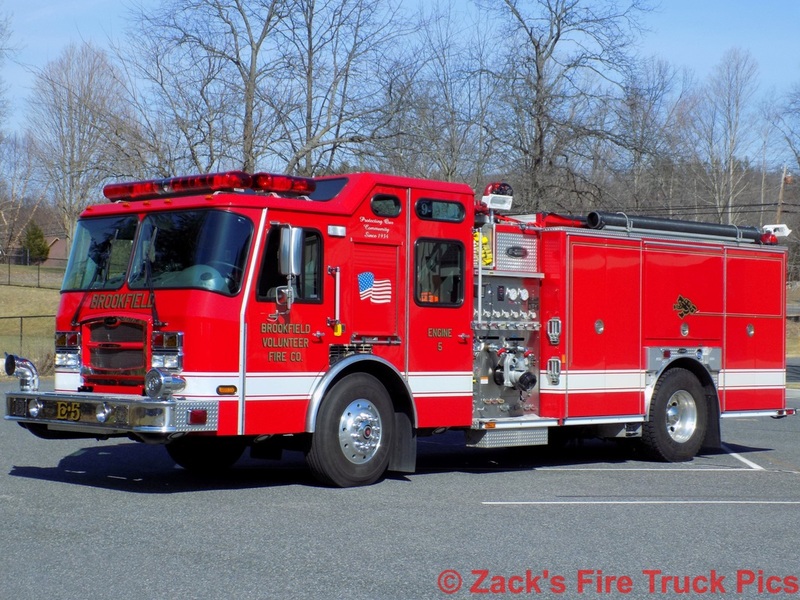 Brookfield's Engine 5, a 2004 E-One. 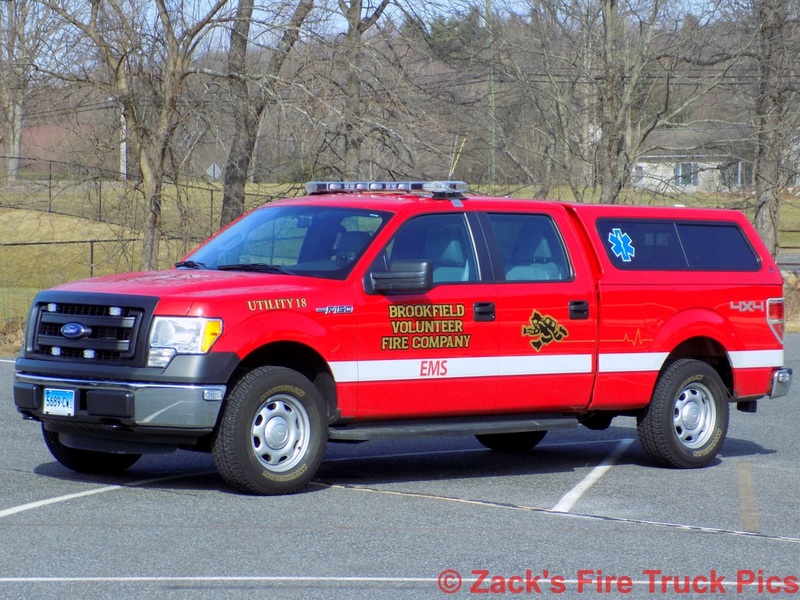 Brookfield's Rescue 3, a 2008 Spartan/Rescue 1. 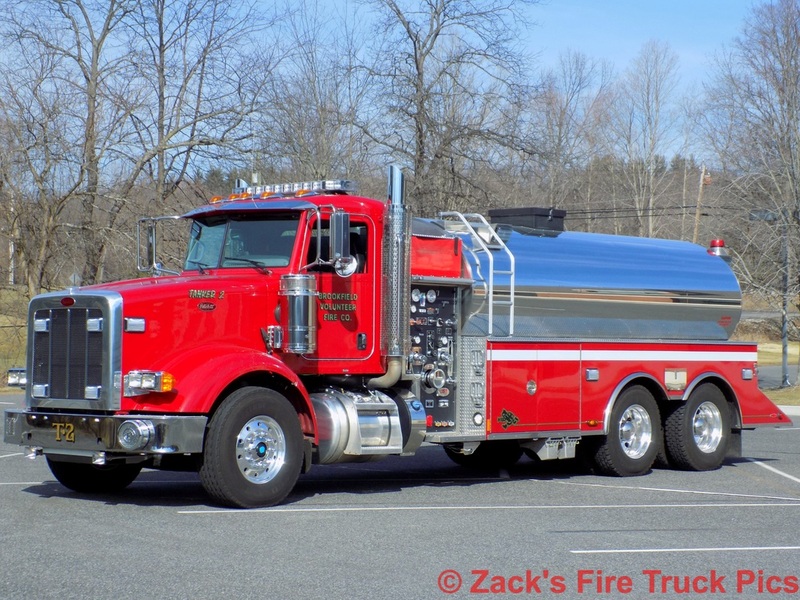 Brookfield's Tanker 2, a 2012 Peterbilt/US Tanker. 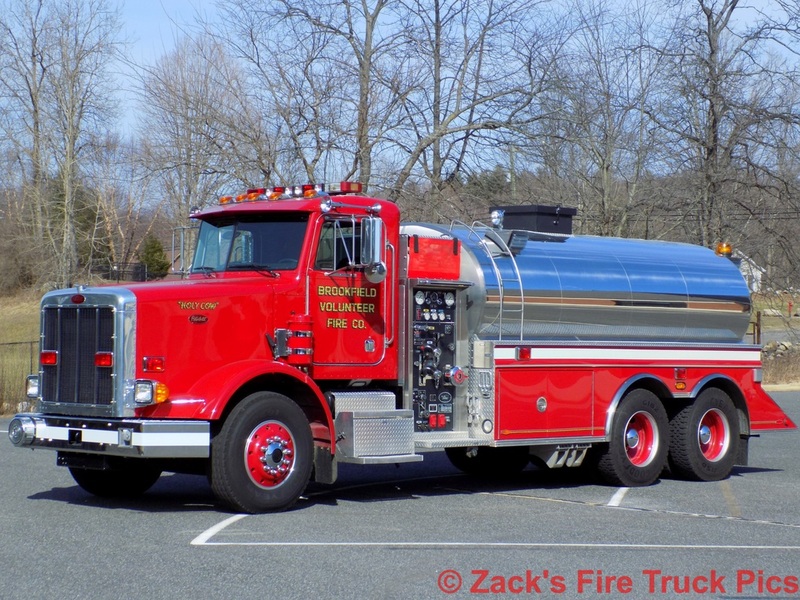 Brookfield's Tanker 6, a 1999 Peterbilt/US Tanker. 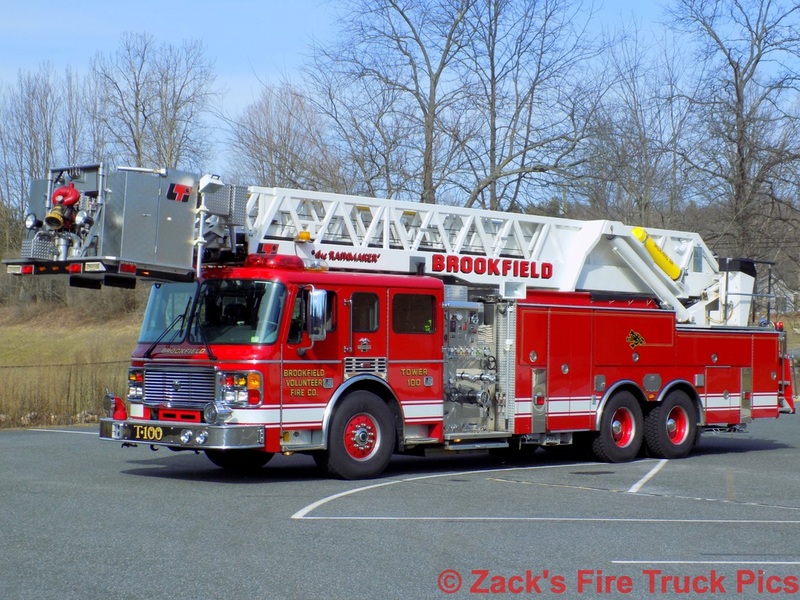 Brookfield's Tower 100, a 2001 ALF/LTI 100ft RMA tower ladder. Brookfield's Utility 6, a 2014 Ford F-250 pickup truck. 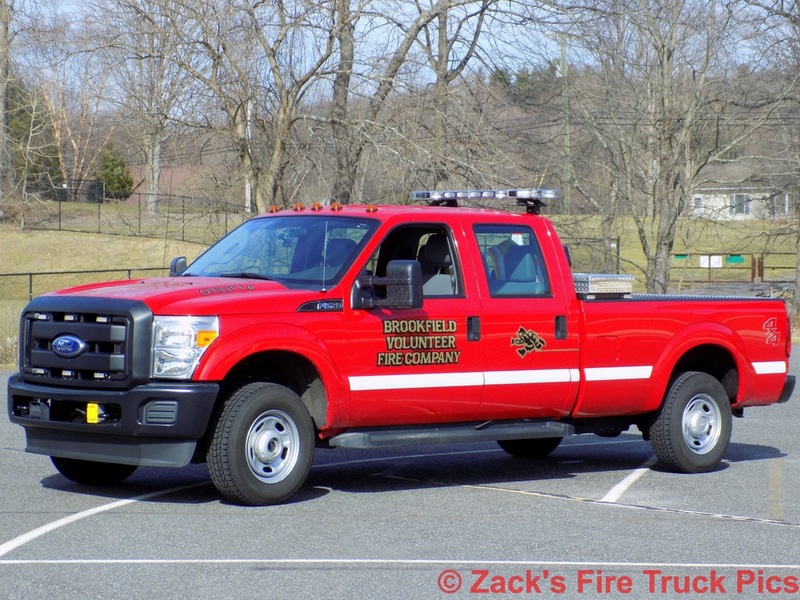 Brookfield's Utility 18, a 2014 Ford F-150 pickup truck EMS response vehicle.